A review of six case studies including UPS, Boeing, John Deere, a Big 3 car firm, a health provider and Rolls-Royce. How do these firms use IoT? What are the savings — the Big 3 firm saved $2 billion over 4 yrs? Other benefits –Boeing raised its production capacity by close to 75%. How did IoT change business models? What is the “servicification” of physical products? How are IoT’s benefits affecting firm ROI? How are firms being affected by “serverless computing” and microservices? This talk provides a panorama of the economics of IoT. It’s a preview to a new book. I will also explore other issues, such as how does spending on IoT compare by sectors in the US covering about 20 industries. I will analyze other issues such as how will IoT expand corporate agility and management of supply chains and product or services distribution. Robert B. Cohen, is a senior fellow at the Economic Strategy Institute where he heads a new study, “The economic and business impacts of cloud services, focused on cloud computing, SDN, NFV, big data and the Internet of Things. This project will evaluate whether cloud computing and the concomitant reorganization of the workplace will result in revenue gains, productivity improvements and employment and output benefits. In pursuing this analysis, Dr. Cohen is also contributing to the OECD’s digital data innovation initiative and the Ewing Marion Kauffman Foundation’s as well as the Berggruen Foundation’s work on entrepreneurship and jobs. He is a participant in the Innovation for Jobs organization headed by Vint Cerf and David Nordfors. Dr. Cohen served as an expert to the US GAO in its Tech Assessment of IoT. He participated in last year’s IoT Slam and chaired sessions at the IoT Tech Expo in Boston and Santa Clara and spoke at Cloud Expo. He previously served as Director of TM Forum’s Enterprise Cloud Leadership Council. He created New York State’s first high tech strategy and has consulted to the European Commission’s Directorate General XIII on the internet and economic growth. He is a past president of the Forecasters Club of New York. 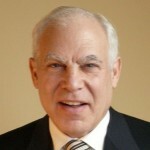 Dr. Cohen holds an MA and Ph.D. in economics from the New School for Social Research and a BA from Swarthmore College. He is the author, co-author or co-editor of five books. Case Studies, IoT benefits, ROI from IoT, Servicification, IoT and “serverless computing,” IoT changes business models, IoT improves corporate agility and management of supply chains and product distribution.